I love micellar waters, they're convienent and leave your skin feeling truly clean. Although I love the Garnier version, I still like to try new products so when I was in Superdrug a couple of months ago I picked in B. 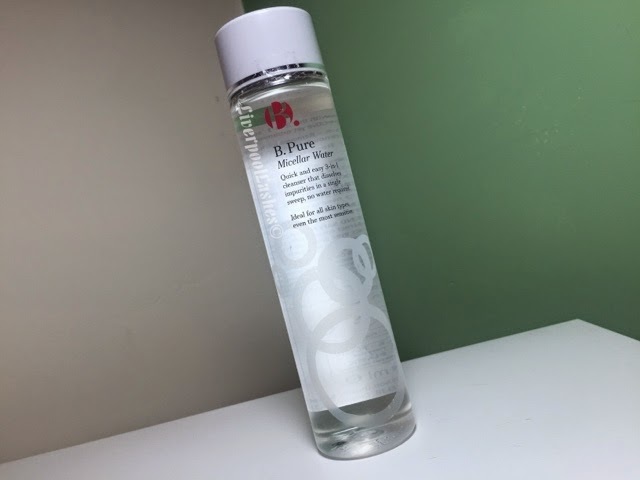 Pure Micellar Water which was half price. There really isn't much to say about this water because any good points are outweighed by the fact that it tastes disgusting. Obviously you're not meant to be drinking it but if you get it anywhere near your mouth and your tongue gets the slightest hint of it, you'll know about it with a horrible taste of chemicals. It does cleanse the skin and it doesn't sting but apart from that, I wouldn't recommend it at all and I know I will struggle to use it up.